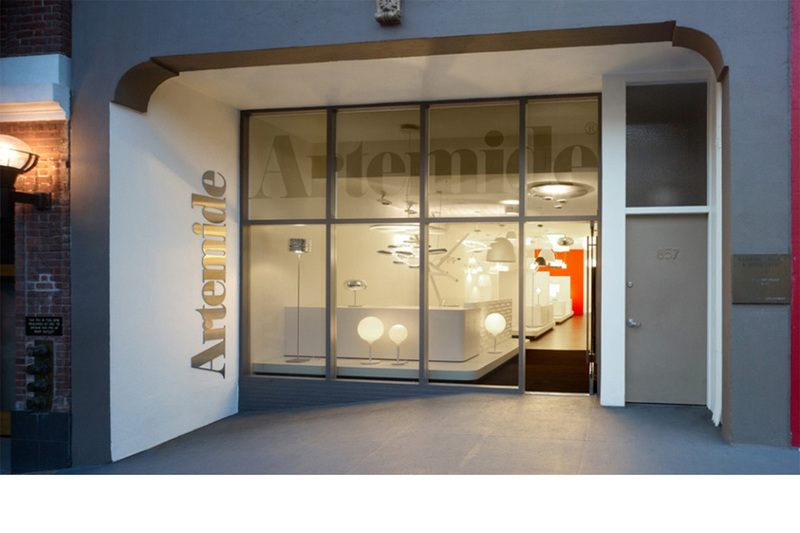 It was a rare opportunity to redo a lighting showroom completed in San Francisco, California 10 years ago. 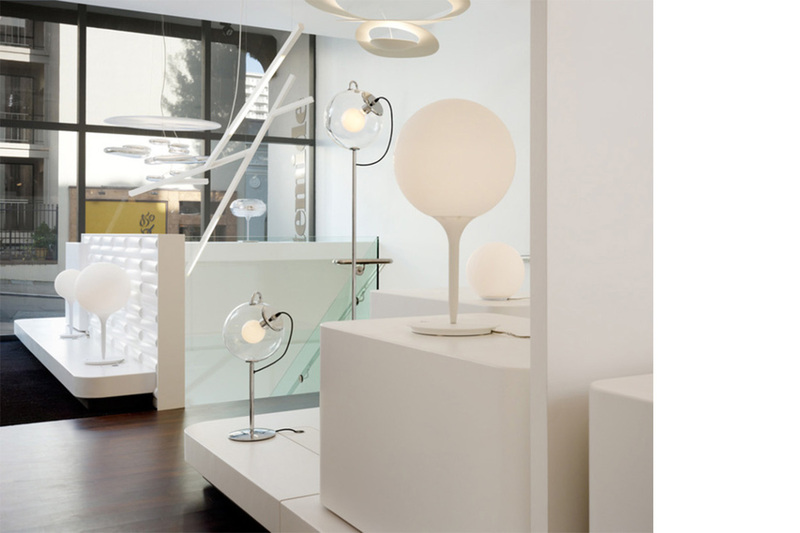 In order to display more lighting fixtures, a central modular system was developed which could be reconfigured as necessary. This runway approach frees up the space while allowing maximum visibility of the fixtures. The rounded corners in both Corian and painted MDFaid in circulation flow and provide a necessary softness to the space. 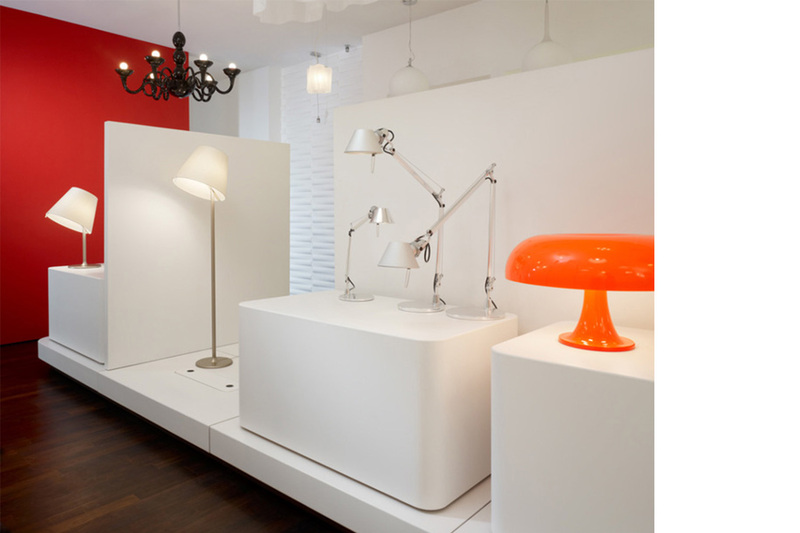 The floors were redone in a dark fumed oak, all other major surfaces were painted white to showcase the fixtures. 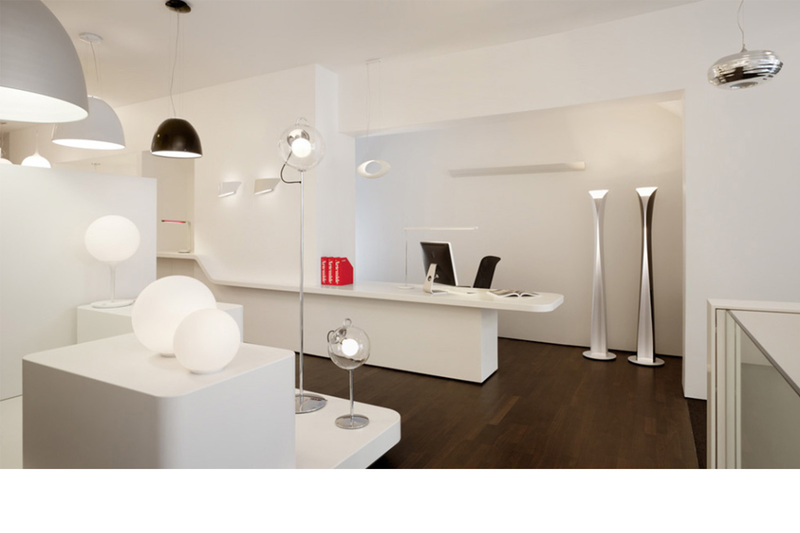 A lighting showroom near Jackson Square, this project was developed in partnership with Studio Bevilaqa of Milan. The simple display technique of planes of drywall and glass provide a backdrop for the product. 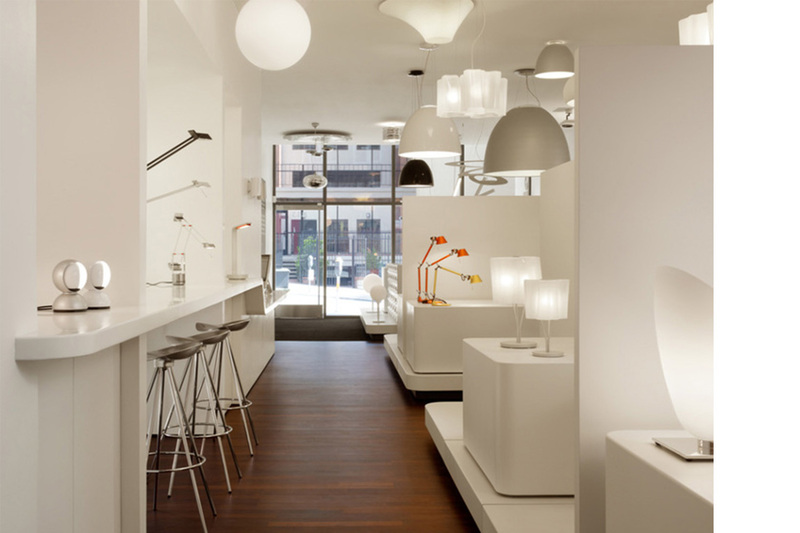 A 4-foot lighting grid in the ceiling and walls allows individual product to change without affecting the overall display. The original rough floors were left to provide a sense of contrast to the addition of smooth, clean planes. © 2019 Briggs MacDonald Office of Design. All rights reserved. Design by Kuleana.